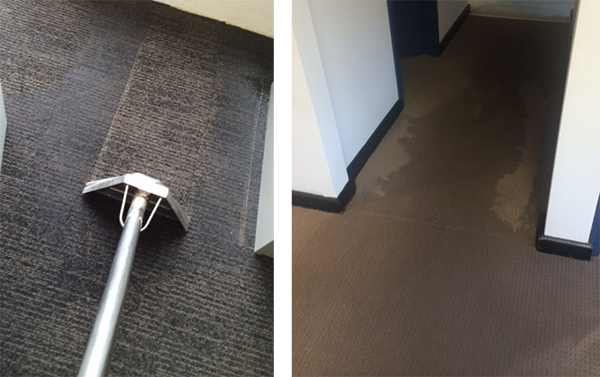 We restore and clean your office and commercial carpet after flooding. When water goes underneath the underlay we need to lift the carpet carefully in the right position, replace or save the underlay, set up carpet air dryers or dehumidifiers for 48 hours at your business premises, re-visit site to check moisture levels with the moisture reader, and apply disinfectant. We then relay your office carpet, re-stretch it and/or repair. Commercial carpet water restoration needs to be done by an experienced technician who is skilled in office carpet restoration and carpet cleaning. Carpet which does need much stretching such as carpet tiles and glued carpet, or linoleum will still need a dehumidifier to remove the moisture from the air, floors and furniture. 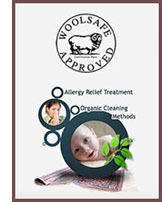 We are office carpet water restoration and commercial carpet water extraction and cleaning specialists. We also provide drying equipment rentals. Our office carpet water restoration tools include kickers, power stretchers, underlay moisture readers and dehumidifiers. Just call us, we do the do the cleaning, restoration, drying and drying equipment rental and provide underlay. Call us now on 0488 963 678. Our technicians have portables, truckmounts and wet vacuum machines for extracting water from carpet underlay and wooden floors. We have air dryers for rental and free delivery of dehumidifiers. Whether you have water damage to your office carpets, or unexpected leaks, we fully understand the urgency of restoring the commercial wet carpet as soon as possible. Experts agree, carpet water damage occurs within the first 48 hours. Reduce your business costs and the likelihood of mould and mildew by restoring your commercial carpets quickly. You can expect first class office carpet damage restoration and commercial wet carpet repairs every time with Refresh Wet Carpet Restoration. 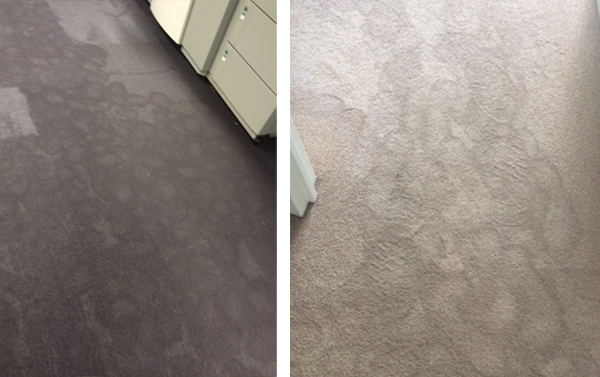 Our technicians are experts in office wet carpet restoration and commercial carpet damage repairs.